Remote Pacific nation Pitcairn Islands is hoping more cruise ships visit its shores following the completion of a new sheltered harbour, due for later this year. A new landing area on the western side of the island is close to being finished, allowing more passengers to be tendered to shore to explore the island. "Around 12 cruise ships per year call past Pitcairn. With the development of the new harbour many more passengers will be able to come ashore and enjoy the treasures our special island has to offer. We are hoping this will encourage more cruise companies to call at Pitcairn," Pitcairn Island travel coordinator Heather Menzies said. 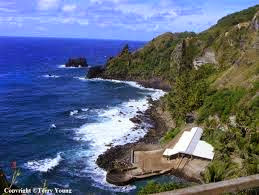 For more info on travelling to Pitcairn, call Tropics Marketing in Australia on 1300 713 132.